June 1st was Children’s Day! 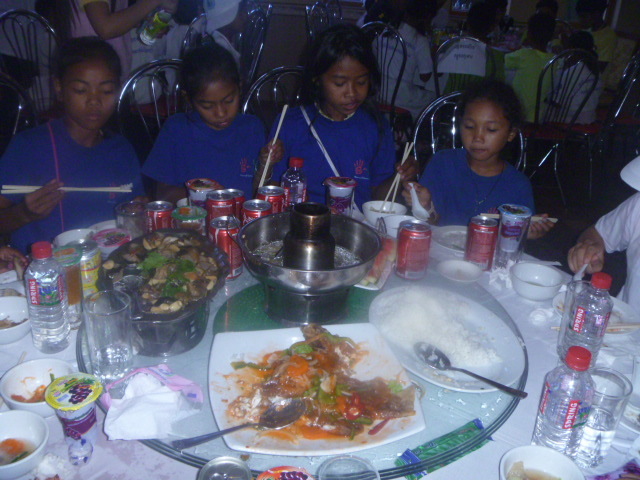 As you may or (more likely) may not know, June 1st was Children’s Day here in Cambodia. An estimated 41% of the population of Cambodia is under the age of 18 and a horrifying 3/4 of the children have been exposed to some form of abuse. The Government of Cambodia uses the day as a day to call out for change. AK-CTV hosted a party for nearly 1,100 local children from orphanages in and around Siem Reap to recognize the day and made donations of rice, noodles, sauces, spices, juice, toys, sports equipment, books, and school supplies. We were happy to be in attendance with 37 children an 8 staff and volunteers. We hope that you will take a moment to Google some more information about Children’s Day in Cambodia then consider coming to Siem Reap to volunteer with us or make a donation. Next Post Smile Action Team!